can book a private class with you without any booking fee. The best way to let your students know to follow your profile is to add them to your Student Center. You can add your whole student list (or better, send us your list directly and we'll import it to your profile for you to save you precious time). Your student list is confidential, accessible only by you, and YogaTrail never ever shares these emails with anyone. Whenever you add or cancel class, add a new event, or take a vacation your students will be automatically notified. You can also email them directly from your profile with any special announcements and news — your message will be delivered straight to their inbox. And of course, you pay very low platform fees when your existing students book anything with you. Easy to install, and of course totally free, the YogaTrail widgets are made to let people know about your profile. On your profile Dashboard, you'll find different types of profile widgets and buttons, and if you have added your class schedule to your profile you can also add the Schedule Widget to your website. Take advantage of this free tool! 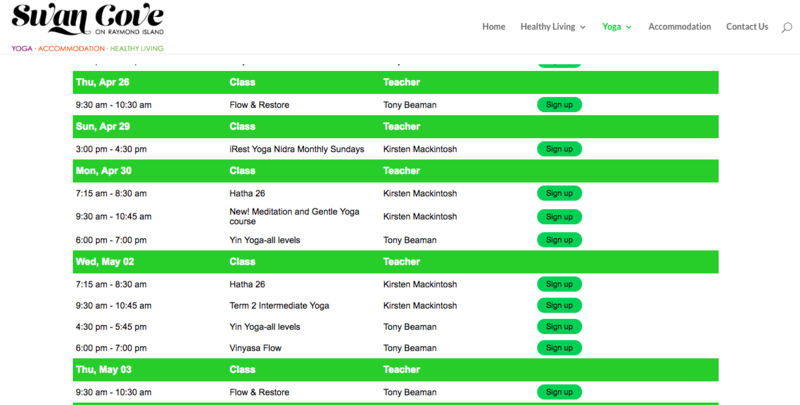 Entirely customizable the schedule widget syncs with your YogaTrail class schedule and is a free alternative to MindBody and Healcode widgets. You can also invite your network to follow or to review you, by adding a list of emails on this page. This simply lets them know you're on YogaTrail. And again, emails are only used for invites and are never shared. If you send out your own newsletter, make sure to mention your YogaTrail profile in your next one. You can also add that if they prefer your students can download the free YogaTrail Mobile App to get your classes and updates on their phone, anywhere, anytime. Of course there's also the good old way! 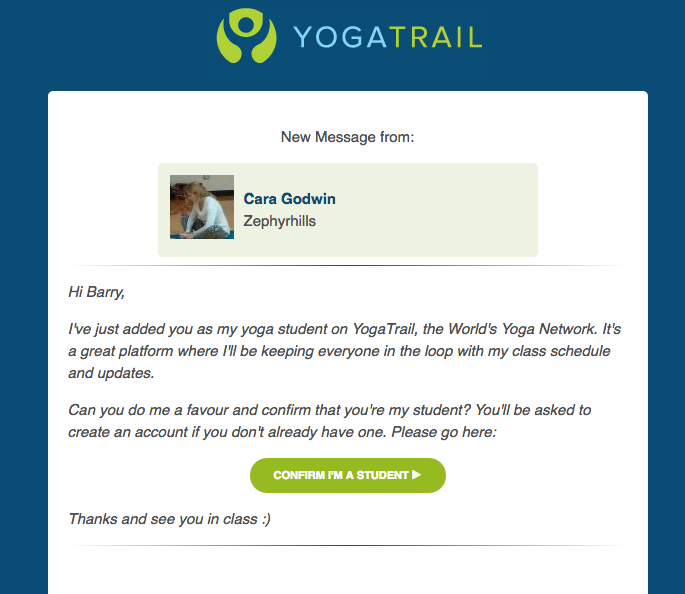 Simply tell your students at the end of class to follow you on YogaTrail, since that's where you'll be keeping your schedule up to date, posting events and updates. If you've enabled private booking let them know that they'll also be able to book you! This simplifies your life as you no longer need to collect peoples emails to add to your list, and unlike asking them to like your page on Facebook, with your YogaTrail profile you can actually reach your followers reliably, with messages and notifications.